It was the hosts that hooked me and a best of the best—in my humble opinion—is Maurice Alberto “Mo” Rocca. Mo reeled me in with his Food(ography), a one-hour show where he delved into a single food topic—cheese, beer, ice cream, etc. His sarcastic, dry wit and goofball-nerd charisma made for entertaining viewing and he never failed to crack me up. More recently, he created and hosts My Grandmother’s Ravioli; Rocca has also been an Iron Chef America judge. But Mo’s presence in the food world is but an add-on to an already successful career as a political and journalistic funny guy. He’s hilarious, for sure, but this man has some serious smarts to back it up. Rocca grew up in Washington D.C. and attended Georgetown Prep as a wee lad. He graduated Harvard with a B.A. in Literature in 1991. While there, he was president of the school’s Hasty Pudding Theatricals and performed and co-authored burlesque productions. His acting career kicked off with the Southeast Asia tour of Grease (1993). Rocca went on to write and produce in television, winning an Emmy and Peabody Award for his children’s series, Wishbone. He also scored a funny-name title with The Wubblous World of Dr. Seuss on Nickelodeon. Another Emmy came his way in 2011 as writer for the 54th annual Tony Awards. If you know Mo, you would recognize his voice in VH-1’s I Love the ‘70s and I Love the ‘80s classics, where he put his penchant for (good-natured) snark to fine use. He was correspondent for The Daily Show with Jon Stewart (1998-2003), including campaign coverage for Indecision 2000 and regular feature, “That’s Quite Interesting.” In 2004, Rocca served as floor correspondent for Larry King Live at both major party political conventions. As well, he was regular correspondent for NBC’s The Tonight Show (2004-2008) and covered the 2008 election for NBC. Fast-forward to now and Rocca is reporting correspondent to CBS Sunday Morning with Charles Osgood. In 2012 he became a regular contributor to the new CBS This Morning. But wait, there’s more: Rocca appeared on Broadway as Douglas Panch in The Twenty-Fifth Annual Putnam County Spelling Bee and on the silver screen as E! reporter in Bewitched (2005). Another feather in his cap: Rocca penned his satirical novel, All the Presidents’ Pets: The Story of One Reporter who Refused to Roll Over, in 2004. I’m admittedly partial to Rocca’s food show appearances, but knowing there’s so much more behind the man makes him a bit of a superhero to me. This entry was posted in funny names in food and tagged Cooking Channel, deLizious, food TV, food(ography), funny, humor, humour, Mo Rocca, My Grandmother's Ravioli, political satirist. Bookmark the permalink. nice work, diddy! especially like the “off her Rocca” line–you do write these well 🙂 Here’s the really cool part: I tweeted this link to Mo and HE READ IT AND THANKED ME AND SHARED IT!!! So hopefully he caught your comment and you’ll be first in line to write his back-of-book reviews. Yeehaw. no one will accuse you of having a big head, diddy 😉 quite honestly, I don’t think any of us will hear from him again. But was glad to have connected even that tiny bit. Congrats on the response, btw Liz! That is just seven kinds of awesome!!! Wow…so very cool Liz!! Great post, completely, and while NOWHERE near the literary elegance found above…awesome job!! I love Mo also..have watched him on food shows also!! I’ve seen Mo Rocca, but had no idea of his range and depth. Nice post, Liz! thanks Tracy. Be sure to read my response to diddy. So excited 🙂 And you’re right–diddy is totally stealing all comment thunder. He’s good. And Mo? Just cracks me up. A smart man who is also funny. What’s not to love? Holy cow, I love diddy’s response. Glad he’s on board! Totally cool that you tweeted Mo and he shared your post! 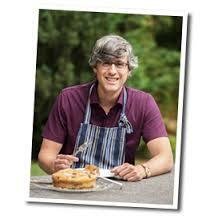 First, Crescent Dragonwagon and now Mo Rocca. You go Liz! I know, she’s so good at this! So impressive Liz! You’re a master! I actually remember this guy from back in the days when I was following politics closely. Didn’t know he was food-related too! Thanks, Big D 😉 Always fun to see posts take shape–had no idea Mo had so much going on. Going to follow him more closely now. He seems to find a good balance between respect and snark. Though he’d make us all look like neanderthals with his highly developed sense of humor, Mo would make an excellent guest blogger here! Thanks, Beth! I don’t think I have the whole story yet, either. This guy is everywhere. Also, Sir Diddy, those are some ultra wonderful reviews. Spectaculario! So, keep it up with the stupid (your word, not mine) words. This is how our language moves forward. Woohoo. Of course, I was just jealous that Liz did such a fantastic post and was trying to steal attention. Me, me, ME!!!! And didn’t I just say that you don’t have a big head? Just for that, I’m not going to whine for you. Ever. I think that’s kind of slippery, Liz. You promised not to whine for me, but it leaves open the possibility that you will whine at me, at some yet to be determined time. Prrrrrrrrreeeetttttttyyyyy sly there, Ms. Culinary Expert Lady. ’cause that’s my style, Mr. YouToob Guy–I’m all sly like that. I know we say this all the time around here, but I can’t decide which I like more, the post or all of the awesome comment threads that came after it! And we haven’t even gotten into all of the “tweetention” (thanks Arto) you got from writing it !!! So very cool. Regardless, I enjoyed writing it so am glad you enjoyed the read. Have you heard of this guy? I can not say enough how cool I think he is. And not just because of that tweetention. (the word could also mean tweeting from detention, but am only thinking that because we were in visiting with Clare’s teacher this morning–haha) He’s just so derned smart and funny in a sly, dry way. Like he’s mocking us, but only because he likes us so much. Yep, reading way too much into Mo. Obviously quite a fan. So thanks for being here for my Mo Party 😀 It is never the same without you. But I know what you mean bout those views. I love the little family that we’ve built for ourselves here … but who are we kidding, I love the attention too. It’s a great feeling to know that something you’ve written resonates with other folks, and it always surprises me to see when that does – and doesn’t! – happen.